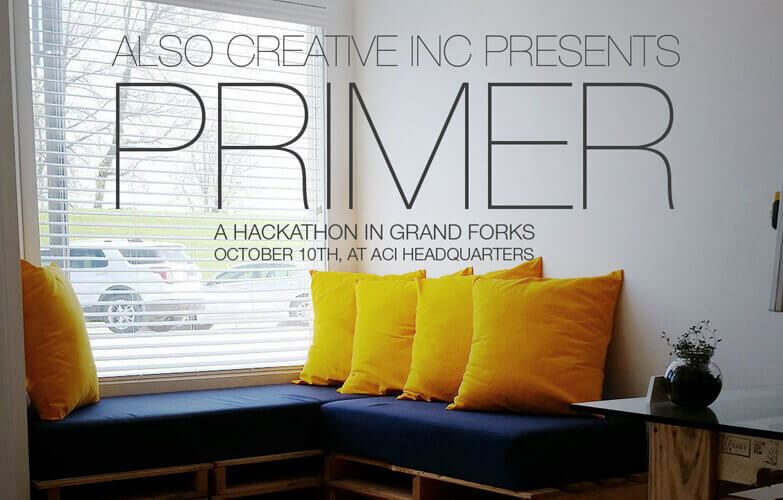 ACI Presents… PRIMER: A Hackathon in Grand Forks | Also Creative Inc.
We are excited to announce the Also Creative Inc. Startup Primer Hackathon! Participants will have 10 hours to collaborate in teams to develop a tech-based product or tool that could potentially be the focus of a startup. We are looking for creative and innovative developers and designers. Join us for the opportunity to connect and share ideas with other software enthusiasts regardless of whether you are a seasoned professional or a dabbling amateur. Admission to the event is FREE, food and beverages will be provided. Please bring your own laptop.